Slice & Pint in Emory Village will close December 30th after about four and a half years in business. The restaurant made the announcement via their Facebook page earlier this evening. "It’s with a heavy heart we announce that Slice & Pint will end operations on December 30 2017, as we are not renewing our lease. We sincerely appreciate all the love and support we have received over the last 5 years. Please come out and celebrate with us over the next 2 weeks as well as on our the last day, the 30th, for one last blowout. Thanks, Slice & Pint team." 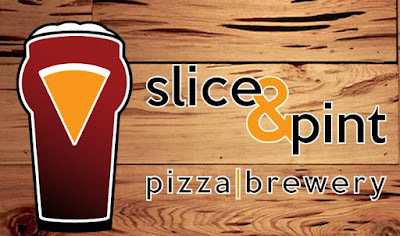 Slice & Pint, conceptualized by Crawford Moran of 5 Seasons Brewing Co., replaced the beloved Everybody's Pizza, which had been an Emory Village staple for over 40 years. Moran's decision to close the restaurant comes a few short months after his wife, Allison Moran, stepped down as CEO of RaceTrac, the Atlanta-based petroleum business founded by her family more than 80 years ago. There is no word yet on what may open in place of Slice & Pint. Are you surprised by the decision to close Slice & Pint? What would you like to see replace Slice & Pint? What is your your favorite Emory area restaurant? That's what Atlanta need is another pizza joint. How many variations of pizza can one metro area get to surpass others? Basically, pizza is pizza with all kinds of toppings including whipped cream. The Franchisers must have a big smile on their faces enroute to the banks. Their the ones who get their money up front and watch everyone else suffer. Some of these pizza joints make it, but a vast majority of them don't. Why not open steakhouse or how about the basic Mom & Pop grille and be done with that? "Mixed-use development is a type of urban development that blends residential, commercial, cultural, institutional, or entertainment uses, where those functions are physically and functionally integrated, and that provides pedestrian connections." Not sure Emory Village counts as mixed-use, since it is only retail; doesn't include any residential, cultural, institutional, or entertainment aspects. The presence of Emory University along its border doesn't turn Emory Village itself into a mixed-use site. Having said all this, Emory Village has certainly not been a commercial success over the last few years. Hmmm. I loved Everybody's, sorry to hear this. I wonder if Rise n Dine would consider a larger establishment? Lord knows that they could fill that place up, add mimosas to the mix. Heck I wish I could invest in that! @Anon @10:22 - a steakhouse? There are a ton of steakhouses in Atlanta! @Anon @ 11:24 - Emory Village is not a mixed use development. It's been around more than 20 years (probably 30 or more). How is Battery a disaster? And Atlantic Station is doing pretty damn good. Did they have issues? Yes, but things have settled down quite a bit. @ 11:24 Atlantic Station has the highest grossing H&M store in the entire Southeastern US, Gyu-Kaku is opening up early next year, and new office space/high end apartments will be under construction next year. I think they are pretty successful. Only thing they need to do is upgrade the Regal with better food & seats. I suspect anonymous@ 11:24 probably meant Emory Point, not Emory Village, as an example of a troubled mixed use development. Given that they were serving a beer called "Rent is Too Damn High IPA" last night, it's clear what the issue is. It sounds like they were unable to work out a new lease. The same story over and over again in Emory Village which has been part of the neighborhood for over 40 years. "As it relates to The Slice & Pint, I don’t think it is a sign of any trend.  With us it is simply a specific matter that our rent is too high. On our little side of the street in Emory Village 7 restaurants have closed over the past few years just because the rent is expensive and restaurants just can’t afford it. Our lease renewal was up after 5 years and our Landlord was not willing to budge. We just couldn’t renew it with rent this high. Just didn’t make sense. Unfortunate, but that’s life." "Atlantic Station has the highest grossing H&M store in the entire Southeastern US"
Why brag about about a store that sells disposable "fast fashion" garbage. So Atlantic Station has the biggest clothing landfill in the SE ? And NO, Im not some looney lib tree hugger. That store sells nothing but trash! I never understand why some landlords seem to prefer an empty space to getting the rent increases they want. Isn't less than ideal rent better than no rent being paid at all? Once you get a reputation for being unwilling to negotiate, won't it become more and more difficult to attract tenants? 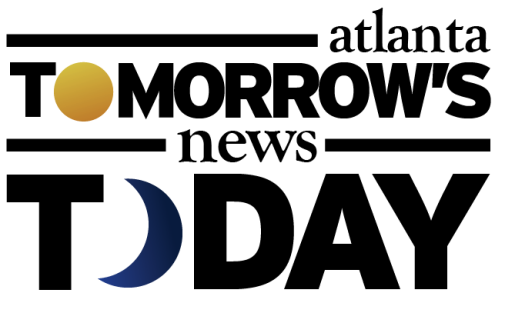 If what Crawford Moran says is true about that many tenants coming and going in such a short time, word definitely has gotten around that Emory Village isn't a place you want to set up a business. I'm curious about what's behind situations like this. Did the landlord's property taxes suddenly increase? Are expensive maintenance, repairs or improvements being done on the property? This is a small, fairly old retail development in a college area. Surely they're not trying to drive out the small local businesses to get "better" tenants. As an aside, I love that there's a publication called Convenience Store News (link in the text about Allison Moran). I'm fascinated by esoteric, industry-specific things like that. Anon @ 10:45: You can call H&M whatever you want, but making money is making money. If America chooses to buy trash and someone supplies it, don't be mad at the supplier, be mad at the consumer. Coolio I agree. Just wish these consumers (not customers) would be philanthropic with their money instead of basically throwing it away. H&M might be the rage now, but give it a few years they will be filing for bankruptcy and closing stores. Americans and the poverty we import are destroying the environment and this country in the process. Crawford Moran knew what he was getting into when he signed the original lease. He must have had high hopes, knowing his past issues with distributors. I think the S&P business was simply not viable to support the rent, that's all there is to it. Place would be good with a small movie theater or something the students could use lounge/bookstore. Crawford Moran has a history with failing businesses in ATL. 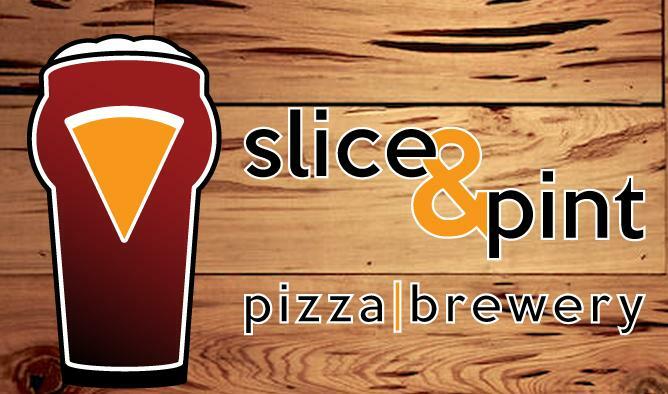 From the now shuttered Dogwood Brewing, 5 Seasons Brewing Alpharetta and now Slice & Pint. Even 5 Seasons Westside has never been relevant and continuously gets overlooked by several outstanding existing/newer establishments like JCT Kitchen, Bartaco, The Optimist just to name a few! I'm sure he'll be fine living off his sugar mama's compensation package! Anonymous at 11:24, as others have pointed out, Emrooy Village is not a mixed use area. It's a small commercial area that was first developed in the 1920s. All the other locations you mentioned are new, so yes, you must be confusing the Village, that is along N Decatur Rd at the main entrance to Emory University, with Emory Point that is on Clifton Rd across from the CDC. Anonymous at 6:22, funny you should mention a movie theater, as there used to be one there. I think it was where CVS is, which prior to being CVS was a small grocery - A&P I think and then Kroger? The closing of the grocery is why that CVS has so much food. ... There did used to be a different book store than the Barnes and Nobel, and when I moved to the area in '89/90, there was a VERY popular bar/lounge called Jaggers. Many were very sad when they left, and the space, where Double Zero is now, stayed empty for YEARS. I agree with 369 - I'd love to understand more about the landlords. I think VA-Highland shopping area is having a similar issue with high rent, and not being the next new thing. The movie theater in Emory Village was in a small strip where Saba's building currently sits on Oxford Rd., and burned to the ground Christmas Day 1978. I lived a mile away, and the ashes in the air seemed like snowflakes. Rents are too high due to the building boom in Atl. When the bubble bursts these landlords will be crying. Since most college students are under 21, S+P was not good concept. Not enough parking in the area to attract non locals , so needs to be college friendly and can survive the summer . Sad to see franchises like Zoës & others in the area. I heard that the landlord wanted to increase rents and I totally believe it. On the other hand...... While Slice and Pint was a good restaurant it had, in my experience, mediocre service at best. No I don't expect servers to be thrilled or elated or try to be my best friend BUT making basic eye contact and coming back to check on once to see if I need a refill or to provide some silverware is a reasonable expectation. Lots of turnover and disinterested servers milling around near the kitchen entrance checking their texts and ignoring customers - that's what led to me not returning. By the way - even though Slice and Pint is now closed do NOT park in the parking lot - they will still boot your car. This has nothing to do with the S&P people - it's the landlord. I can somewhat understand this as the Emory kids will fill up that lot given half a chance but then again why not just put a chain to block entrance ? Problem solved.